The tea was good, but it was way too small for $4.00. You can get a tea twice that size for the same price anywhere in Chinatown. Would not buy bubble tea from them ever again. We've tried both the pork and chicken sandwiches, a couple of times. Very tasty. The bread and veggies seem really fresh, so you get a nice crunch in each bite. Nice people too, and not too slow (like some trucks). Had the Lemongrass Chicken Salad and Tofu Vermicelli - both were outstanding. Great flavor, good portion for the cost as well. Throw in the fresh hot peppers they have available and it was an outstanding lunch for 2. Will be trekking up for Farragut Fridays the rest of the month. Instant classic, bringing Bahn Mi back to the glutarded! This was the first time I tried this truck. I normally love vietnamese food and was looking for a fresh, low carb option. I went for the salad with chicken and decided to make it a combo by getting the taco and a soda too. The taco was very good, and I would probably order that again. I ended up getting the pork taco. On the salad, I got the chicken, which was a disappointment. The chicken was not warmed up, and lacked flavor. The pork on the small taco I got had much more flavor. The friend that went with me ordered the sandwich and made it a combo with a taco and a drink. She too preferred the taco to her chicken sandwich. Basically.. stick with the pork, and order the tacos.. then you will enjoy this truck. 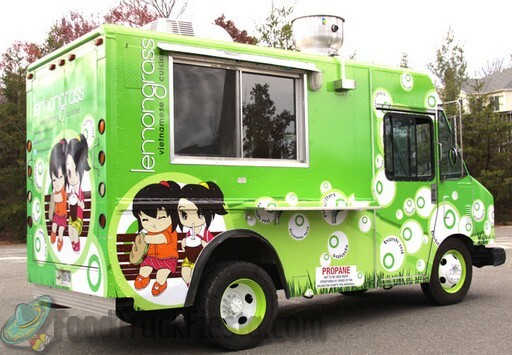 I disagree with most of the negative reviews posted below because I've never had a bad experience with Lemongrass Food Truck (even when I send other people to go pick up my food lol). The customer service is great and the wait is no longer than 3 minutes, unlike a lot of the other food trucks. 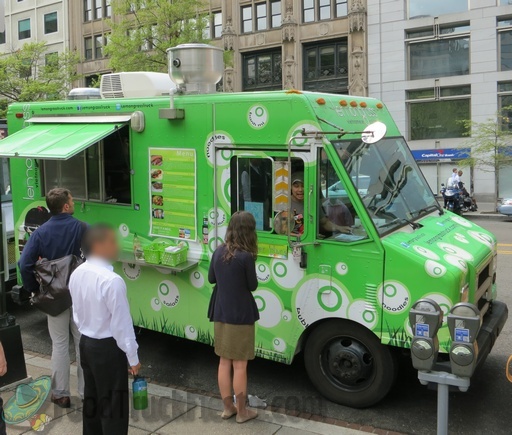 While this might not be the most 'authentic' Vietnamese food out there, it's one of the better Vietnamese food trucks I've tried in the DC area. The food portions and quality of food is good and you get what you paid for. It's a food truck, people. I'm sure they try to cook and prep food to the best to their ability with the limited space they have in the truck. If you're looking for something more, go to a restaurant. While I have heard from a couple of Vietnamese friends that this Bahn mi is not made in the authentic way (the bread and the sauce apparently are different), it is a tasty sandwich nonetheless. The pork is tender and flavorful, the veggies are fresh and homemade mayo add a nice kick. I was surprised that they were out of the salad option even though it was only 12 noon when I got in line--this is poor planning to be out of one of five offerings before the lunch shift even hits full swing? I am giving it a 4 for now. I love the tofu at this truck. It is flavorful, firm, and plain delicious. The serving is generous, and I can eat a vegan meal without feeling like I missed a thing. The sauce is wondeful, and they always give me an extra when I ask, no charge. I miss them when they aren't around. They are guilty of false advertisement. I ordered the VERMICELLI noodles and I didn't realize until I got all the way back to work that they gave me pasta. This is the second time they've done this. I feel like I was cheated & lied to. I like the taco version and the noodle version of their food. I like it with chicken and tofu. The thai ice bubble tea is also yummy. One of my favorite food trucks. I like it! Customer service was very courteous and quick. I loved the slaw on top. Lemongrass started serving in Arlington on December 8, 2011 and started serving in DC on Sept 9, 2012. They serve Vietnamese Cuisine. 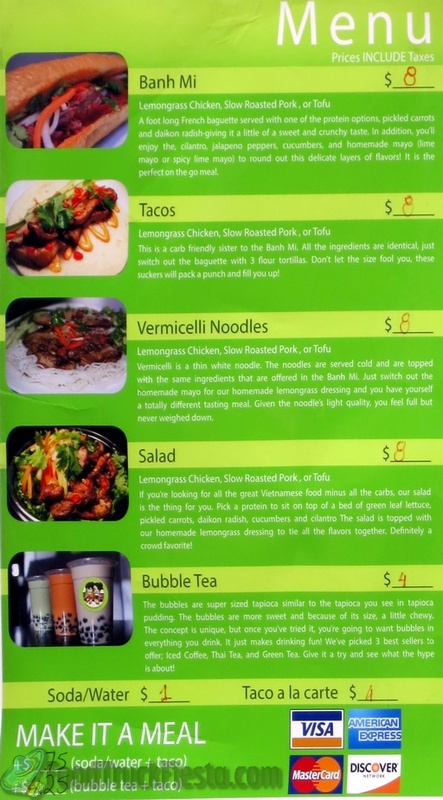 The menu features 4 main items; banh mi, tacos, vermicelli noodles, and salad. All are topped with either lemongrass chicken or slow roasted pork. They will also be serving Bubble Tea!